September 2014 - American Solar Tinting, Inc.
HVAC (heating, ventilation, and air conditioning) systems in commercial buildings account for more than 40% of total energy use. This number increases when your air conditioning system has to compete with your windows. According to the U.S. Department of Energy (DOE), windows account for 25-40% of a building’s annual heating and cooling costs. How? It’s simple. In the summer, as well as late spring and early fall, solar radiation (the sun’s rays), steadily increase the temperature in your building, causing your air conditioner to work harder and harder to achieve your desired temperature. The result: increased energy bills. Ca-ching! 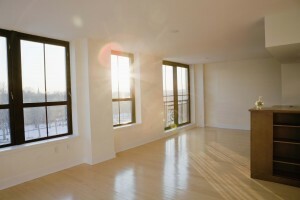 By reducing the impact the sun has on your office space, you can have a significant impact on your overall energy bill. Commercial window tinting can reject up to 80% of the sun’s heat and reduce energy costs from 5 to 15%. We know what you are thinking; “Can’t blinds or shades accomplish the same thing?” Well, yes and no. In order to block solar heat gain, blinds and shades must be kept closed. You can say sayonara to your beautiful view and natural light! Yikes! With commercial window tinting, you can keep your blinds or shades open, allowing natural light to shine through without having to worry about the heat gain. That’s what we like to call a win-win! Click Here to review even more great benefits of window tinting. American Solar Tinting, Inc. is licensed, bonded, and insured and has served over 46,000 satisfied customers in Maryland, Virginia, and Washington, DC since 1958. 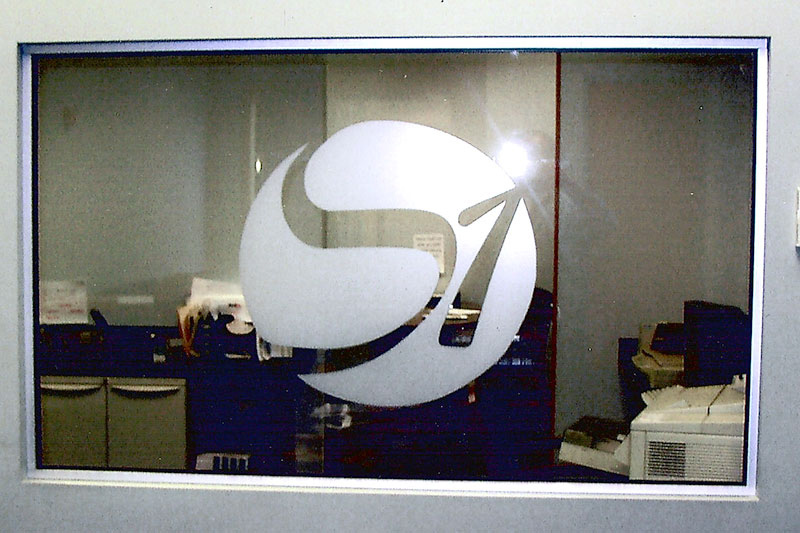 We specialize in custom window and glass tinting, logo graphics and decorative films, and safety and security films. We offer the highest quality solar tinting products available. As a factory authorized dealer of Vista® and LLumar® window films, we provide a customers with a custom solar tinting installation. Our solar tinting is professionally installed with no mess, no hassle and minimal disruption. If you have any questions about Commercial Window Tinting and Energy Efficiency, please call American Solar Tinting today at 1-800-0100. You can also follow American Solar Tinting today on Google+, Pinterest, Facebook, and Twitter. What are the Benefits of Security and Safety film for glass? Existing glass, with the exception of tempered glass, is typically not designed to resist wind-blown debris, vandalism, forced entry, explosions, falls, or any other kind of event that puts sudden and undue force upon the glass. If a pane of glass shatters it can break into deadly shards endangering anyone in the vicinity. Most glass injuries are caused by accident with people inadvertently colliding with glass panes. While modern windows and panes are typically made out of tempered glass, there is still a vast amount of easily breakable, unsafe glass. Fortunately, there is a solution. If you own a building or house with unsafe glass, or glass that you have reason to believe may be at risk of being attacked by people or the elements, you should consider installing safety or security film on your glass. Safety film is a coating designed to prevent glass from shattering in the event that it is broken and to safely hold it in place. Available in a variety of strengths, safety film is typically retrofitted to existing windows, forming an invisible protective membrane on the interior side of the glass. 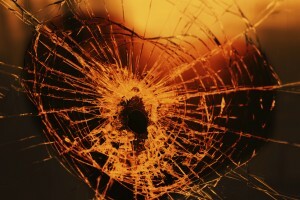 When stress, such as an unexpected fall or a deliberate blow causes the glass to break, the film absorbs the energy preventing shards of glass from becoming lethal projectiles, or at least severely mitigating their force. Security film operates under essentially the same principles as safety film, but protects to a much higher degree. Security film can be used to protect glass from shattering under extraordinary circumstances, protecting windows from breaking during earthquakes, hurricanes, and bomb blasts. While not typically used in residential homes, large commercial structures, especially in areas prone to stress from the elements or attacks by heavily armed vandals and terrorists, can greatly benefit from security film’s added protection. American Solar Tinting is a leading name in the window and glass tinting and film industry currently, and specializes in the installation and maintenance of safety and security window films that make your windows safe and secure without compromising their clear luster. With 5 convenient locations, glass security is easy with American Solar Tinting. To get started with the installation of UV blocking window films, call American Solar Tinting at 1.800.969.0100 or visit our contact page. You can also follow us on Google+, Facebook, Twitter, and Pinterest. We all dread going to the same office everyday with the same, blank walls. If you’re working in a boring environment, how will you work efficiently? Working in a poor-looking environment can also decrease your overall mood. So why continue your daily routine like this? Spice up your workspace with logo graphic films around the office. Graphic films of your company logo will not only add a little pizzazz to your office, but may even increase your mood at work. Having a colorful addition to your office walls and windows will brighten any room, and your attitude! Adding logos around the office is a great way to increase overall morale in the workplace. Show clients how important your business is to you by displaying your logo around the office. By displaying your logo, it shows others that you are proud of your business and the performance of your employees. We at American Solar Tinting use SOLYX® Films, which come in a wide variety of color shades and patterns. Because of this, we are able to recreate your business logo or image. 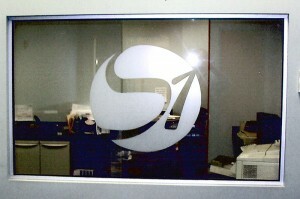 Logo graphic films are an easy way to give a little energy to any space. They are able to be removed and replaced very quickly, so if you decide to update your company logo, give us a call! American Solar Tinting specializes in the installation and maintenance of residential window tinting and film treatments. With 5 convenient locations throughout the Maryland and Virginia area, we are a leading name in the window treatment industry with a commitment to great customer service and high quality products. To get started with your new decorative films for your home interior, call us today at 1.800.969.0100. You can also visit our contact page. Don’t forget to follow American Solar Tinting today on Google+, Pinterest, Facebook, and Twitter! Energy bills can be a drain on anyone’s wallet. According to the U.S. Department of Energy up to 43% of a home’s utility bill typically goes towards heating and cooling costs. Furthermore approximately half of those payments are wasted on loss of heat and unwanted heat gain through windows. As energy prices continue to increase and resources diminish, finding a way to mitigate these costs can appear difficult, if not downright impossible. Fortunately for homeowners everywhere there is a way to dramatically increase both energy efficiency and savings. Window tinting, once strictly associated with celebrity limousines and unmarked white vans, is becoming increasingly popular with ordinary homeowners, and for a good reason, it saves money and resources! To understand why window tinting can help save both your wallet and the planet, a short science lesson is in order. Solar energy is transferred or transmitted by infrared waves. This energy is converted to heat when the waves come into contact with objects and people. This is called transmission. However during this process a certain amount of infrared energy will fail to pass through an object and be sent back towards its source, this is known as reflection. The special tints on UV and heat deflecting window tints, typically made with a concrete or metallic based polymer, dramatically reduce infrared transmission while increasing reflection, all while leaving the spectrum of visible light (The stuff that actually lights up a room) largely unaffected. Cooling a hot room via air-conditioning requires a considerable amount of energy, and naturally reducing the temperature by only a few degrees can cut energy costs by as much as 25%. Window tinting can reduce temperatures enough to allow you to comfortable turn off an AC system even during the middle of a hot summer day, or make it that much easier to install a less powerful and vastly cheaper system. Summer isn’t the only time window tinting can help, infrared reflection works both ways and what keeps the heat out during the summer, keeps it in during the winter months as well. 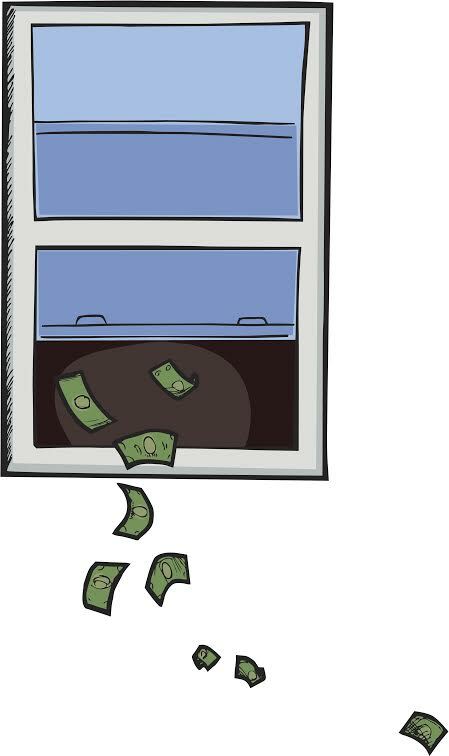 Overall, window tinting can vastly improve resource saving, energy efficiency, and can cut energy bills in half! Additionally, thanks to 2009 American Recovery and Reinvestment Act, homeowners who improve their energy efficiency are eligible to receive federal tax credits, which can help offset the initial cost of window installation. If you have any questions about Commercial Window Tinting, please call American Solar Tinting today at 1-800-0100. You can also visit our contact page for an online contact form as well as the numbers for each of our 5 locations. You can also follow American Solar Tinting today on Google+, Pinterest, Facebook, and Twitter.